You would like a personalised aNewSpring iPhone and Android app for your learners. The aNewSpring app with your own name and your own branding makes it much easier to find it in the App Store and on Google Play. The learner does not have to enter a URL, but enters the right learning environment directly. After downloading the app, learners can immediately start their course. The costs for a custom app are € 2500,- per year, including maintenance and updates. Follow the steps below to start the development of the app. 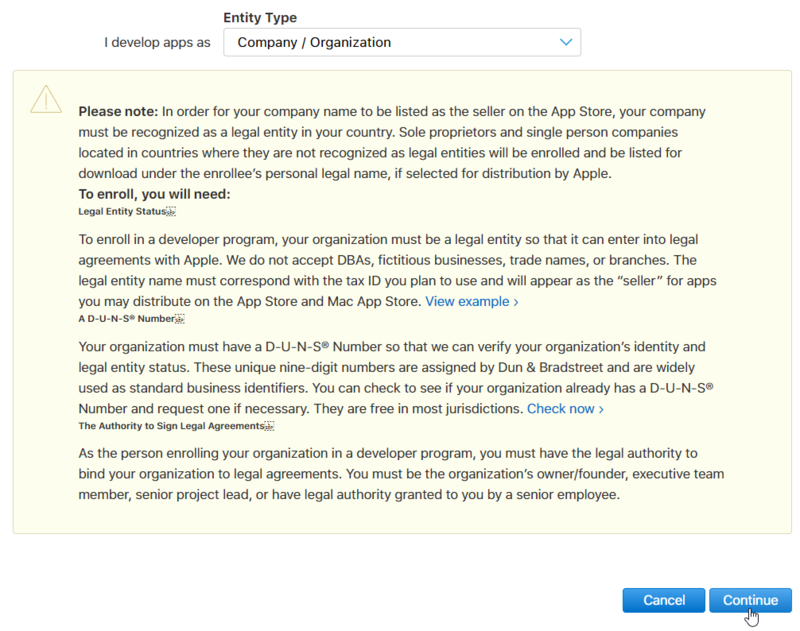 For the iPhone app it is necessary that it is available in your own developer and store account of your organisation. This is required by Apple as soon as your brand name is connected to an app. In this account you can add aNewSpring developers and give access to only the custom aNewSpring app. Support agents of aNewSpring will fill the app store with the necessary texts and visuals. This Apple account costs 100 EUR per year. 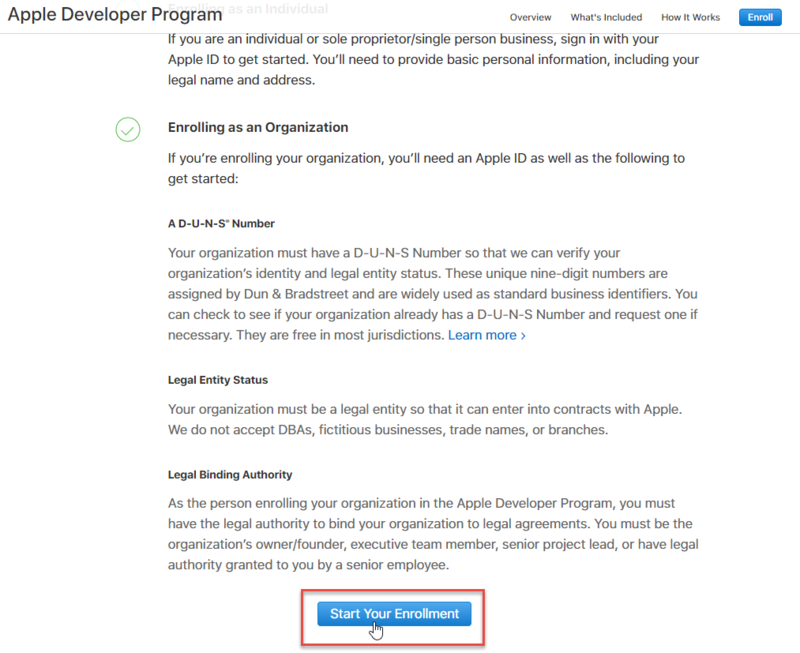 If your organisation has already joined the Apple Developer Program, you can proceed to step 3. Click Join the Apple Developer Program . You can easily request the DUNS number for free at http://europe.dnb.com/find-my-DUNS/. You will receive it by e-mail right away. Select Company / Organisation and Continue . Never select 'Individuals or sole proprietors / single person businesses', because then you can no longer invite us as a developer. Enter the further details. Apple will now check the data and it may take a while for your account to be ready for use. 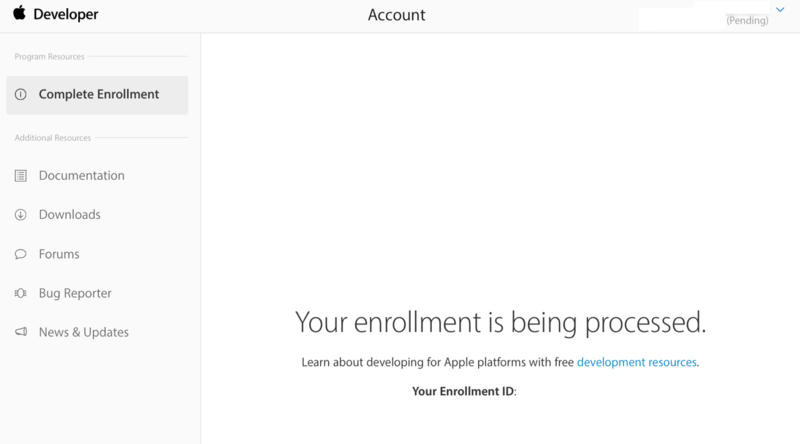 Once you have access, log in again to your Apple developer account. 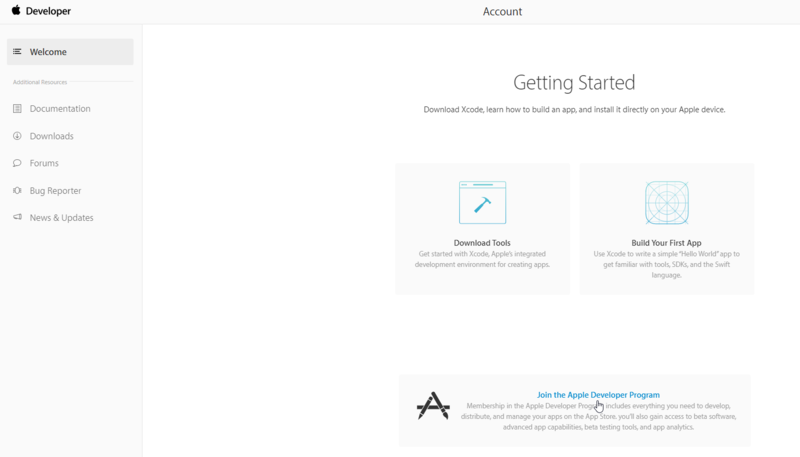 3) Provide aNewSpring access as "Developer" for your account. Next, aNewSpring must accept the invitation for both accounts. Then proceed to step 4. 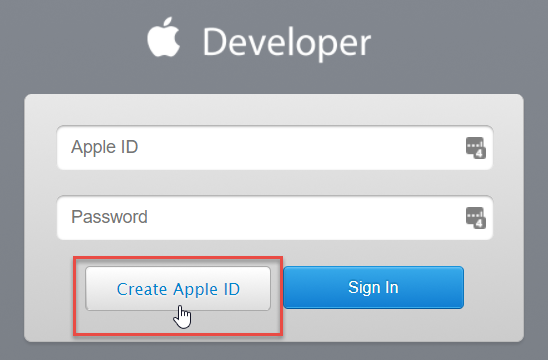 Log in with the created Apple ID at https://itunesconnect.apple.com. Click + to add the developers and our support agents to iTunes Connect. 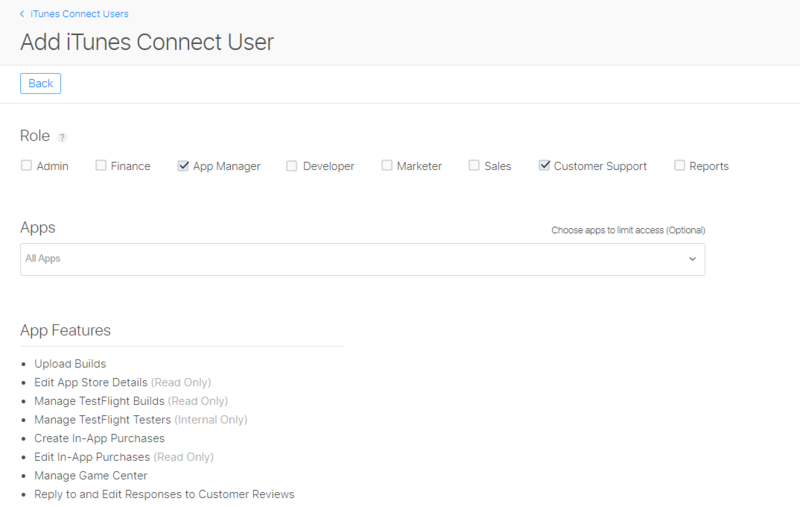 The development account gets the role of App Manager and gives support the roles App Manager and Customer Support. Support will then add the necessary texts and images to the app in the store. Once the app has been added by us, you can indicate in this screen at Apps that the account may only have access to your Custom aNewSpring app. Click Notifications in the iTunes Connect Users overview. 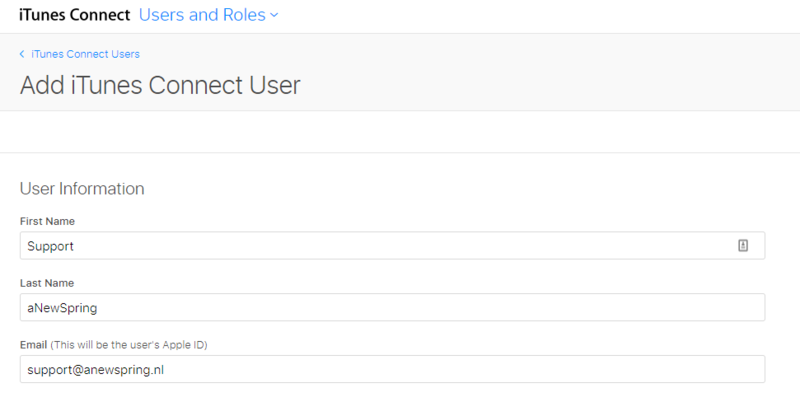 For the Support aNewSpring account, set the App Status Reports option to All Territories. Also check the notification settings in your own account. They are all enabled by default, which you might want to change. Before we can start the development of the app, we will need the right information and images. Below you will find links to a form per language. You only need to fill in the forms for the languages you would like to use. For Google, we need proof that we have permission to use your name and logo to create the app. Download the consent form that you can send us filled in and signed. Only when we have received all mandatory information and images, we can start the development process. If there are any questions, please contact us at support@anewspring.nl.